Instead, I want to discuss our plans for Prismata’s Event mode. We deployed a few changes to the mode this week, and more are coming. 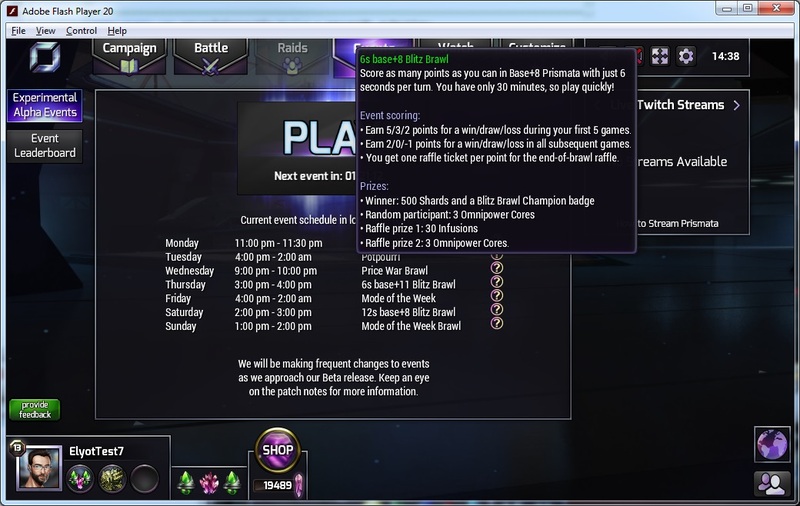 The new event mode screen, complete with detailed mouseover tooltips for each event.